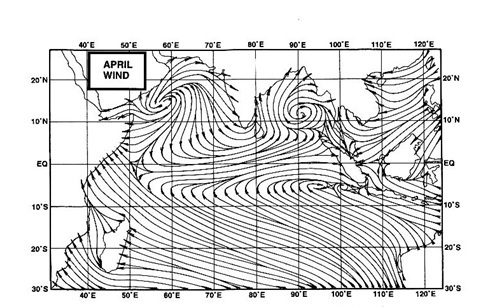 An anti-cyclone over Central India, swirling winds clockwise, has resulted in hot, dry winds blowing NE onto the Saurashtra and S.Gujarat/N.Konkan regions in the last 4/5 days. Mumbai Colaba, second with a close 35.8c. Late setting in of sea breeze over Mumai has shot the day temperatures to an "all Asia" record for the city a couple of days ago. Could get hotter at the weekend for Mumbai, as the anti cyclone shifts, and the winds are likely to become "a warm easterly". Temperature in Mumbai could touch 36/37c on Sunday/Monday. Nights will show a drop upto 21c. can't take this heat anymore...its tooo much..will we ever get good winter this year?? For S.gujarat and N.Konkan areas when the winter weason will start??? Winter setting in delayed may also see a delayed exit probably !! Need to check when is Holi next year ? Think its late March !! NT/Junaid:An anti cyclone when formed can bring 1. clear weather (always)2. clockwise winds rotation (always) 3. heat wave 4. normal temps 5. cold wave. Points 3,4,and 5 depend on the synoptic situation and overall weather aspects around the entire region.These are optional. We have an anticyclone currently pushing winds (clockwise) from NE direction along our western coast. As explained, its pushing the "cooling effect" sea breeze away from the coastal cities. Causing much heating along the coast. (restricted to the coast,NT). And its explained in the blog that the coasts of Saurashtra/Konkan and s. Gujarat are hit by thei above normal temps. The IMD map put up a day ago shows slightly high day temps (+1/2c) in the interiors. Yes, I too hope that this heat does not last till Monday as predicted...but ? ?